A great character building activity! 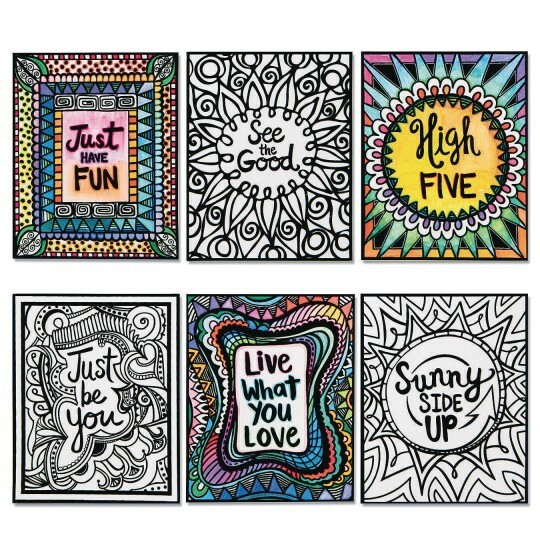 Everyone will have positive thoughts as they color these Velvet Art posters with upbeat quotes. A great character building activity for all ages! 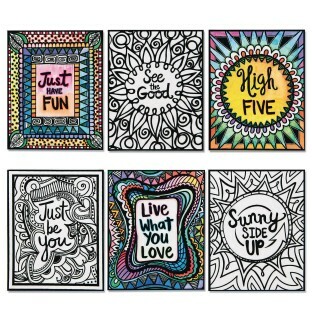 Color with markers, colored pencils or crayons (sold separately) then hang on a wall for a daily dose of inspiration! Pack of 24 posters, 4 each of 6 fun designs. Posters are 8” x 10”.